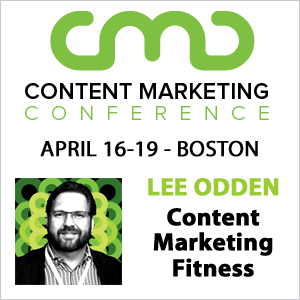 Content marketing has rapidly become an essential piece of the B2B marketing puzzle. Buyers are more connected and more self-directed than ever before, and informative, engaging content is key to making sure your organization becomes part of the buyer journey. Creating a steady stream of quality content can be challenging for any marketer, but especially for those in B2B marketing, where buyers expect to be informed and entertained at the same time. So it’s no surprise that Content Marketing Institute’s latest report found that 54% of B2B Marketers rated producing engaging content as a top challenge, and 50% said producing content consistently is a challenge. If you’re like me, you hated writing outlines for school assignments. I would always draft first, then reverse-engineer the outline. But as a professional content creator, outlines are your new best friend. Take your complex topic and imagine what your sub-headings should be to discuss the topic. That way, you won’t get hung up on word choice or phrasing and can focus on the key information you want to get across. Once the structure is in place, it will be far easier to fill in the content. “Once upon a time there were three little goats named Tofu, Mofu, and Bofu. Tofu trip-trapped happily through the meadow all day, blissfully unaware of the troll under the bridge nearby. Mofu knew the troll lived under the bridge, but wasn’t sure how the troll affected his day-to-day life and wasn’t ready to do anything about the monster. Only Bofu had seen across the bridge to a beautiful meadow of green grass, and was ready to take steps to get rid of the troll. Obviously, I didn’t forward my fairy tale to the client. But writing it enabled me to lay out the argument for full-funnel marketing that I was trying to make, and I finished the client draft within the hour. The “5-year-old-version” strategy helps you to explain what you’re trying to write to yourself, which makes the grown-up version far easier to write. If you don’t have a 5-year-old in your life to use as an imaginary sounding board, write the way you would talk to an old friend. You don’t ever have writer’s block in a casual conversation, right? So write the way you would talk. Even better, exaggerate the tone—let yourself be silly. Try to make yourself smile. For example, when I get stuck I’ll write something like: “Okay, so check it out bro, this new eBook is the bomb dot com. I know you’ve got some mad problems with your content marketing, but this book is gonna drop knowledge on you. Get it, yo!” After about a paragraph of that, I’m ready to reign it in and write the professional version. Voltaire said, “Perfect is the enemy of good.” Sometimes the source of writer’s block is that perfect version of the content you see in your head. So you write a few lines, they don’t measure up to the standard, and you erase everything. It’s easy to convince yourself that the version in your head is so much better than anything you could put on the screen. But the truth is, any version of the content that exists is better than something that isn’t real. So don’t let that imaginary ideal form of the content stop you from writing. When you get stuck trying to write the perfect words, turn off your inner editor and just write garbage. Type with your eyes closed if you can, so you’re not tempted to edit. Whatever clumsy, error-riddled, clichéd garbage you put on the screen is still better than a non-existent perfect piece. And now you have a start, something you can edit and refine until it’s worth showing to the world. Content marketing is a business function, but it’s also a creative endeavor. As such, it’s just as subject to writer’s block as any other form of writing. When you’re stuck with that blank screen, stop thinking about creating the perfect finished piece and try for a different perspective. Write an outline to make sure your structures solid, or write a simplified version to help organize your thoughts. Write a silly version, bro, for reals. Write absolute trash. Just write something. Even the messiest first draft is the start of creating an amazing piece of content. 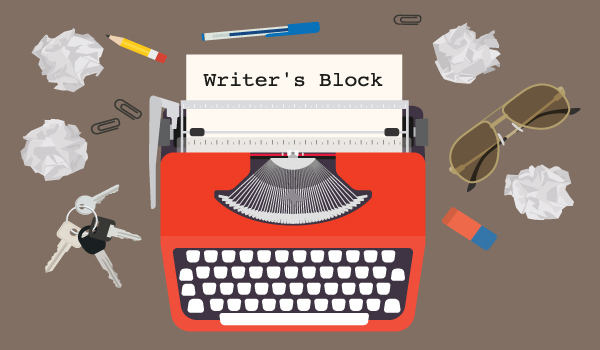 What is your favorite way to get past a block in your writing? Really a nicely written article. The main thing we need to consider while writing content is to understand client’s business and their customers. Thanks for the kind words, Textcraft! I agree that relevance is the #1 concern for creating content.